It is great for protecting your household furniture tables and chairs from moving or sliding around, also can protect your tile, wood or vinyl floor from scratches. 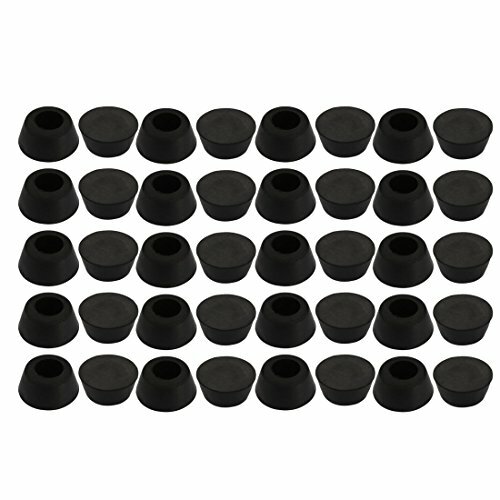 Rubber material in black color, and round flat base design for standing steady. Main Color: Black; Total Height: 12mm / 0.47"
Bottom Diameter: 25.5mm / 1"; Top Diameter: 20mm / 0.79"
Fit Leg Diameter: 12mm / 0.47"